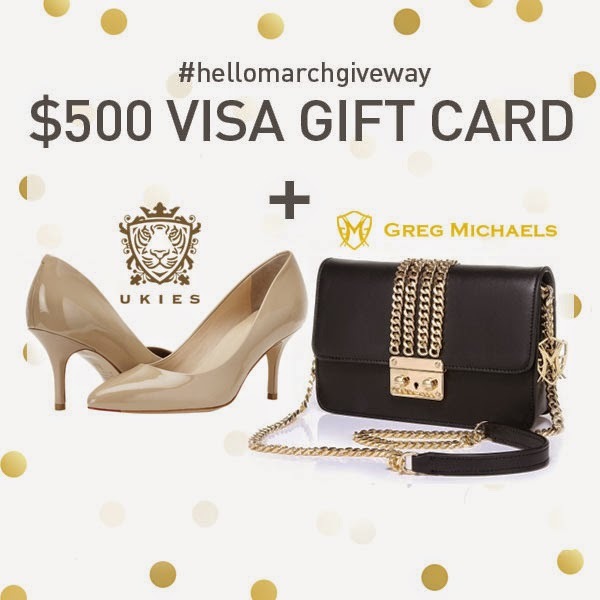 I have teamed up with awesome bloggers to bring you this $500 Visa gift card PLUS a pair of Ukies pumps of your choice worth $199 and a Greg Michael Savannah Handbag worth $199, for a total of almost $1000! The giveaway is open until midnight of March 11. All entries will be validated and follow/unfollow will be blocked from joining further giveaways. Earn bonus entry points by our participating in our Instagram loop! It goes live today at 3 PM EST. • For every blogger you follow, you will earn 2 bonus entry points per blogger! Thank y'all SO much for all your support! Be on the lookout for new outfit posts coming this next week!